If yes, for each conviction, provide the date and place of conviction and the type of crime, below. A conviction will not necessarily bar you from employment. Helpline Volunteer: Responsible for responding to callers in need of crisis intervention, support, safety planning, program intakes, referrals, and community resources on the 24-Hour Domestic Violence & Family Helpline. 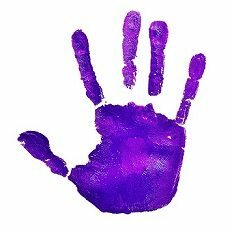 Class Co-Facilitation: Assist Prevention Educator’s with providing a safe, confidential space for individuals who are seeking domestic violence and parenting education with a weekly group curriculum. Group Co-Facilitation: Assist Justice System Advocates with providing a safe, confidential space for victims of domestic violence to share their experiences in a weekly, peer-led support group. Childcare: Assist advocates in providing childcare to youth whose parent is participating in DVCAC programming; includes children 0-12, volunteer is responsible for role modeling healthy relationships and boundaries. Administration/ Special Events: Assist with special projects and events. May include: resource tables, materials preparation and/or distribution, event day set up and/or breakdown, and other projects as needed. Canopy Child Advocacy Center: Assist with daily operations, including answering phones, greeting children and families, service coordination, crisis management, and administrative projects. I am aware that I am responsible for covering cost associated with the background check (estimated cost of $40). Background check results must be received prior to volunteer placement. I am willing to participate in screening, orientation, and all required training procedures. I understand that my attendance is required at each training session in order to successfully complete volunteer training and become an active volunteer. 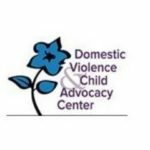 I acknowledge that DVCAC has a non-violence policy for clients, staff, board, and volunteers, which states that no verbal, emotional, or physical abuse will be tolerated. I agree to volunteer with DVCAC at least once monthly for at least 12 months. I understand that my commitment and consistency impact clients and operations. I will keep confidentiality enforced by DVCAC and all service providers who partner with DVCAC. I have been honest and accurate in my completion of this application.